PALO ALTO, CA, April 18, 2017 – Striim™, Inc. today announced that it has launched version 3.7 of its end-to-end real-time data integration and streaming analytics platform. Driven by customer requirements and demand, this release focuses on facilitating real-time, hybrid Cloud integration, and simplifying the management of applications running on streaming data. Highlights of this latest version include several hybrid cloud integrations with Microsoft® data solutions running on Azure®, and enhanced application-to-database management through dynamic schema evolution. Striim has launched two new solutions on the Microsoft Azure Marketplace. For all solutions, Striim’s wizard-based design interface speeds deployment and time-to-value for its Azure-based customers. Striim for Real-Time Integration to SQL Database simplifies the real-time collection and movement of data from a wide variety of on-premise sources, including enterprise databases via Change Data Capture (CDC), into Azure SQL Database. 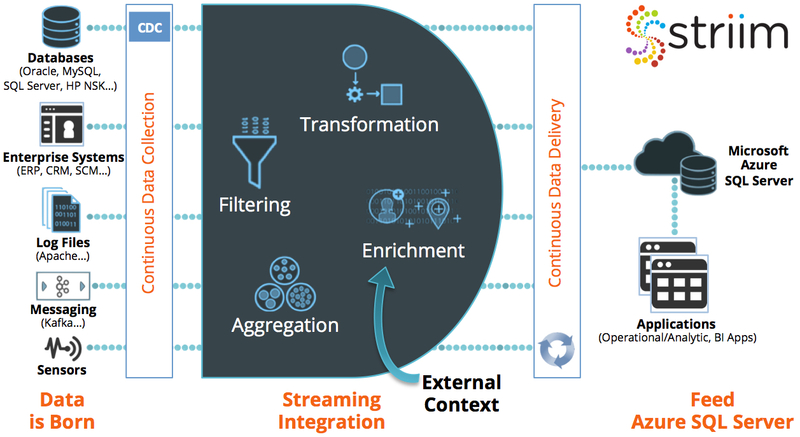 While the data is streaming, Striim enables in-flight processing, (i.e., filtering, transformations, enrichment) before the data lands in SQL Database, providing full context for any downstream operations such as reporting, and hybrid transactional and analytical processing. 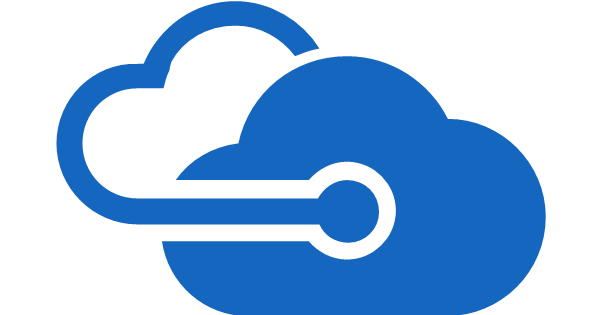 Striim for Data Integration to Azure Storage provides the same real-time collection and movement of data from a wide variety of on-premise sources, including enterprise databases via log-based Change Data Capture (CDC), into Azure Storage. This Striim solution enables Azure Blob Storage and Azure File Storage customers to quickly build streaming data pipelines, choosing their desired data latency (real-time, micro batch, or batch) and enrich with additional context. These pipelines can support any application or Big Data analytics solution, including Azure HDInsight®, that uses Azure Storage. This latest release of the Striim platform also includes integrations with Microsoft HDInsight® on Azure, and Azure Event Hubs, both of which will soon be available on the Microsoft Azure Marketplace. One of the most difficult challenges of managing enterprise applications that are running against continuous data streams is the application downtime required to make changes to the schema. Striim has solved this with the introduction of Schema Evolution. Schema Evolution enables business to evolve their schema or make DDL changes without affecting the related applications, ensuring the integration pipeline continues uninterrupted. The new Schema Evolution feature also allows for auditing of schema changes for lineage and compliance. Schema Evolution bolsters productivity, reduces application downtime due to DDL changes, and increases manageability of continuously running applications. Striim’s Exactly-Once Processing has been enhanced for additional target components. New Interval Reporting of streaming data, combined with existing stream introspection capabilities, help customers better troubleshoot problems and report on business intervals. Replication enhancements include new Era Tracking functionality that allows companies to track streaming metadata into eras to support recovery through schema evolution. For more information regarding this latest release of the Striim platform, please read our blog, or download the platform at www.striim.com/download-striim/.